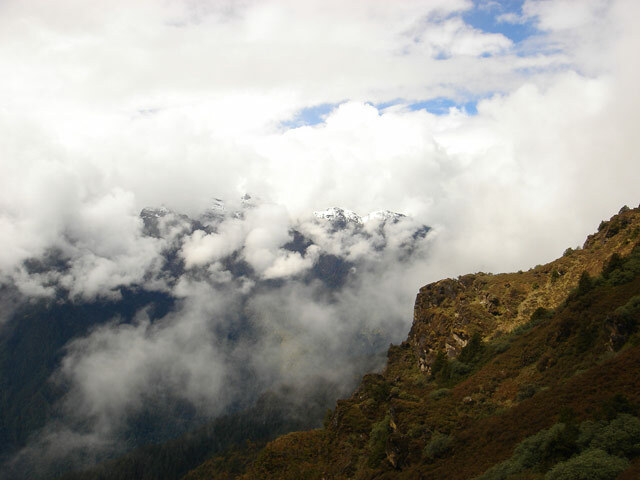 This wonderfully scenic high-altitude walk along the ridges accesses remote alpine lakes, yak herders and boasts views of Bhutanese Himalayas. 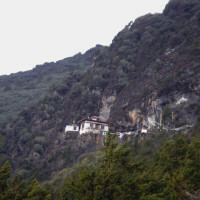 For most part, it follows the traditional mule route between Thimphu and Paro, walking along the ridges. 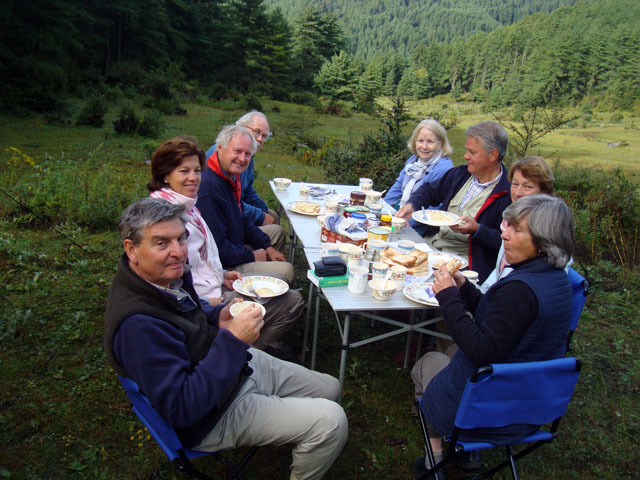 Because it departs or ends in Paro or Thimphu, it logistics make it a great choice as an add-on to any cultural tour of Bhutan. 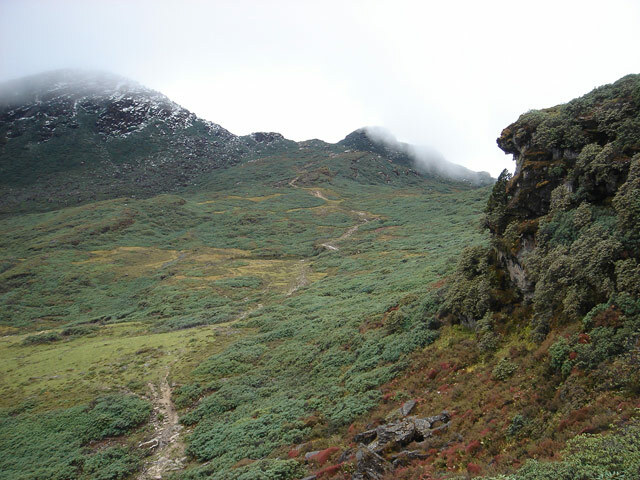 One of the variation of Druk Path called Tsaluna trek is quite easy, short and can be done late into winter and starting from early Spring. Max. 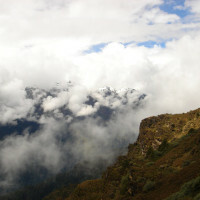 Elevation: 4,210m at Labanla pass Max. 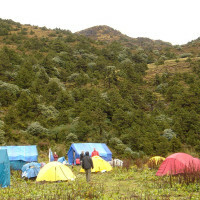 Campsite: 3,870m at Jimilangtsho or 4,100m if camping at Simkota. Difficulty: varies from easy to moderate. Seasons: Best from March till May & Mid Sept till Nov. Ok in June & Aug but not recommended in July, Dec, Jan & Feb. 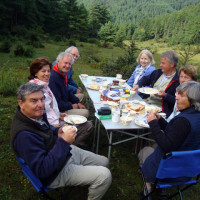 This is a Private Journeys for independent travel with your own dates. 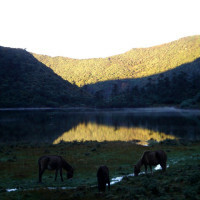 Small group or join-in will be listed in our small group trips. 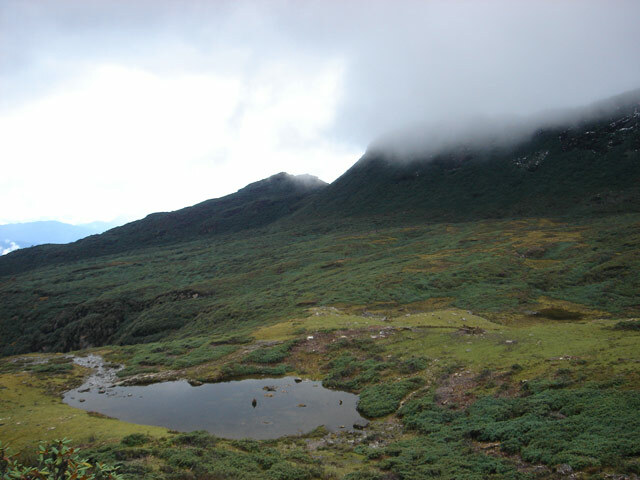 This is the recommended route and duration for those who are light trekkers and need ample time to explore around. 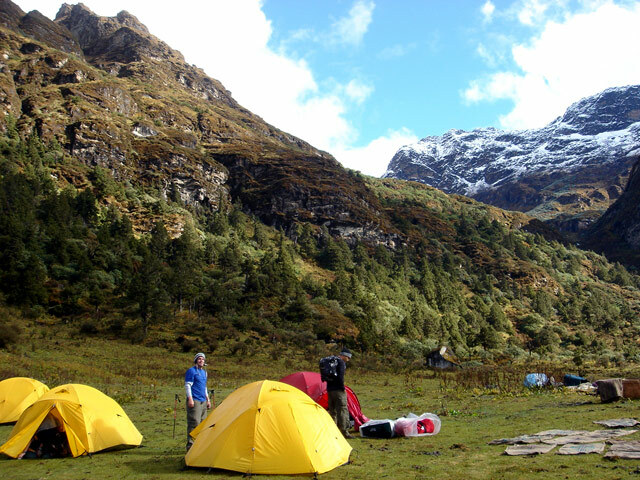 From your hotel in Paro, transfer to the trail head above Ta Dzong and begin trekking starting at around 2700m. 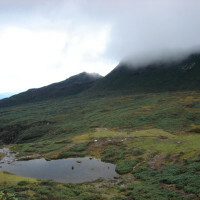 Trek for about 3-4hr. uphill ascending around trek uphill ascending around 800m to camp below Jele Dzong at 3480m. 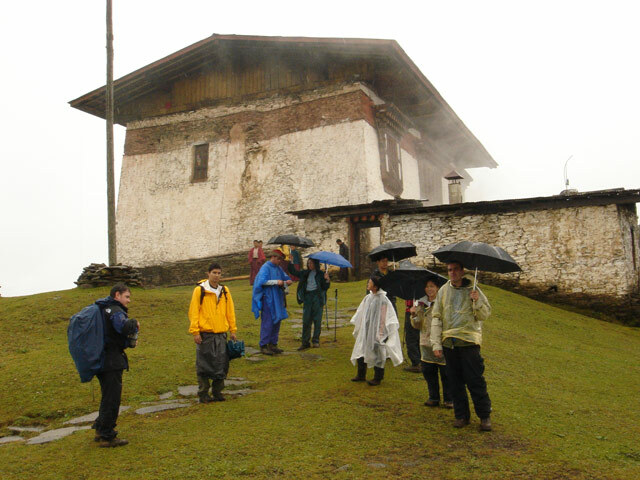 Visit Jeli Dzong and trek along the ridges with the views of Paro’s side valleys. 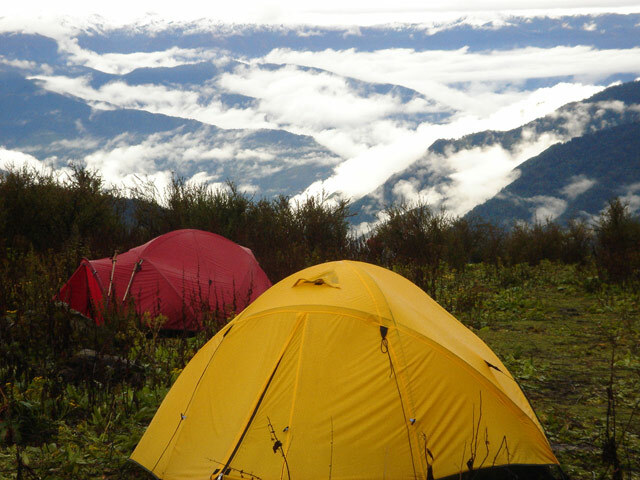 About 10km/4hr trek and camp at 3770m. 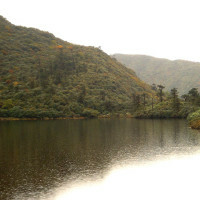 Climb up gradually up to 4150m and descend to your camp site at 4100m overlooking another lake. About 11km/4hr trek. This is slightly more strenuous than option A. The duration is shorter by one day for the same distance. 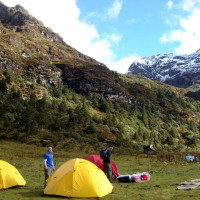 From your hotel in Paro, transfer to the trail head near Ta Dzong museum and begin trekking for about 4-5hr uphill and camp just below Jele Dzong at 3480 ascending around 800m. 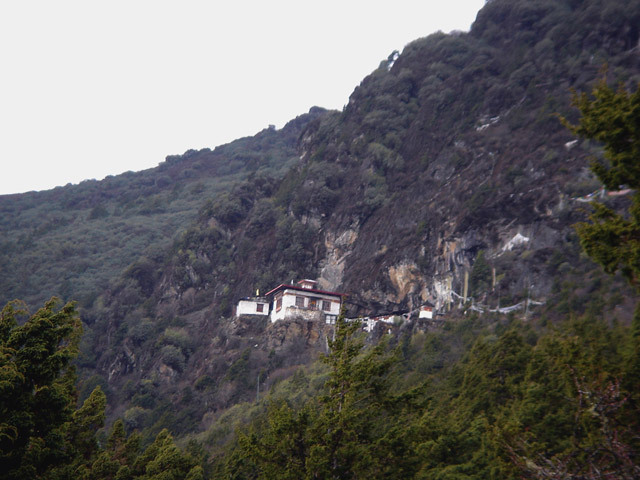 After visiting the temples and monasteries in Phajoding, walk all downhill for about 5km/3hr to Motithang (2540m). Meet and transfer to your hotel or city center. 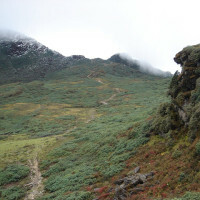 Alternative route: This trek may be done in 4 or 5, if you are a strong trekker. The route and sights remain same but you cover more distances. 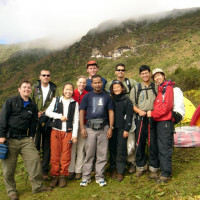 Also, instead of starting the trek in Paro, it can be done in reverse order; starting from Thimphu and ending in Paro. 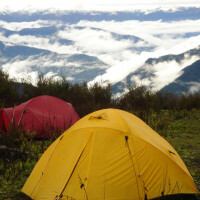 For those who are serious trekker, this is definitely the choice. 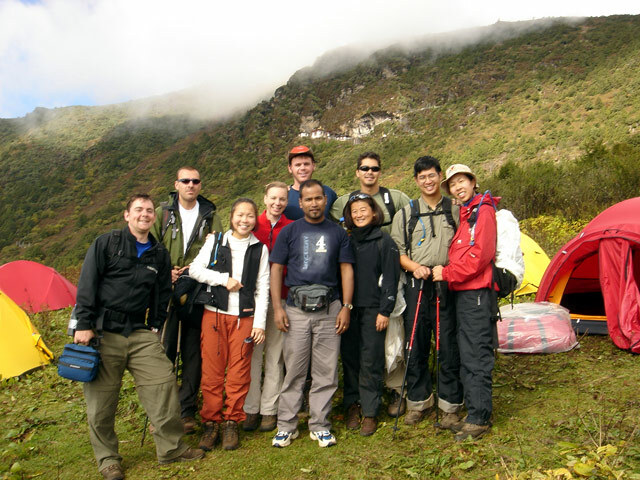 The second and the third day of the trek are both long days of 7-8hours trek, making the trek quite strenuous. This is also also commonly done. 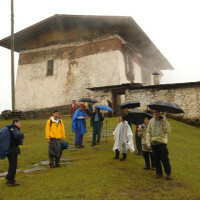 From your hotel in Paro, transfer to the trail head above Ta Dzong. We will try to drive as far up as possible along the dirt road. 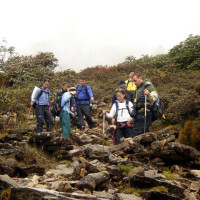 and begin trekking. 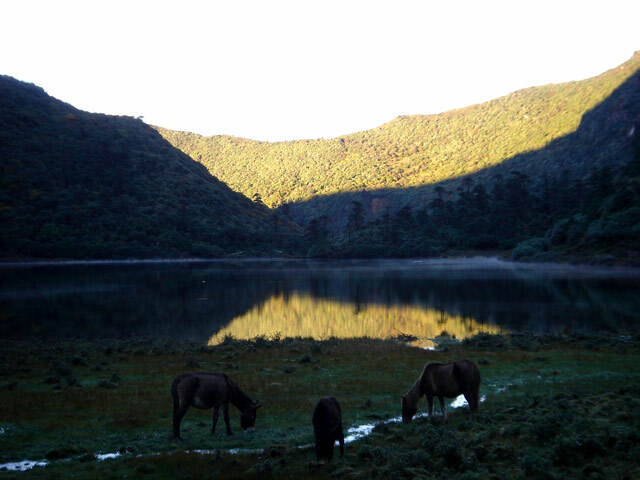 About 4-5hr trek uphill ascending 1050m. 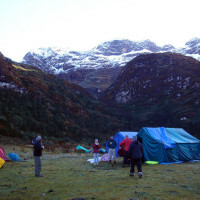 Camp at 3570m. 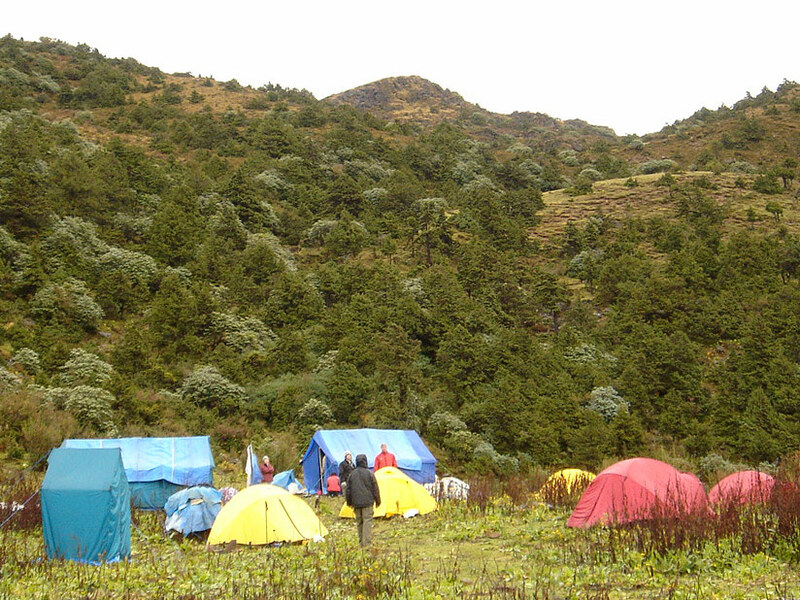 Climb up gradually up too 4150m and descend to Simkota, which takes 4hrs. 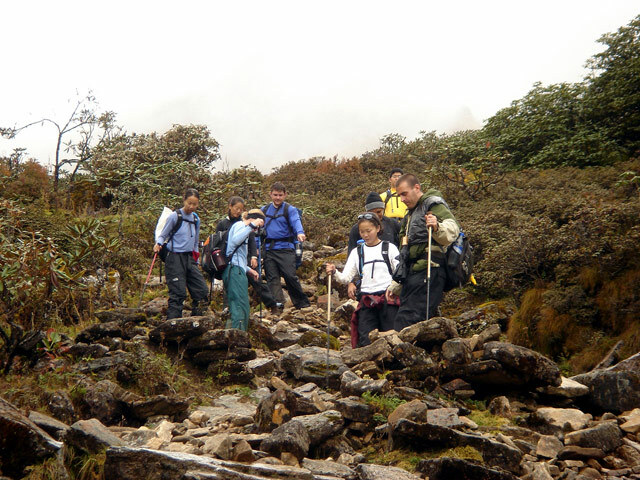 Then gradually trek up hill and climb to Laban La pass at 4210m, after which the trail makes a long and steep descent past Thujidrag to Phajoding. 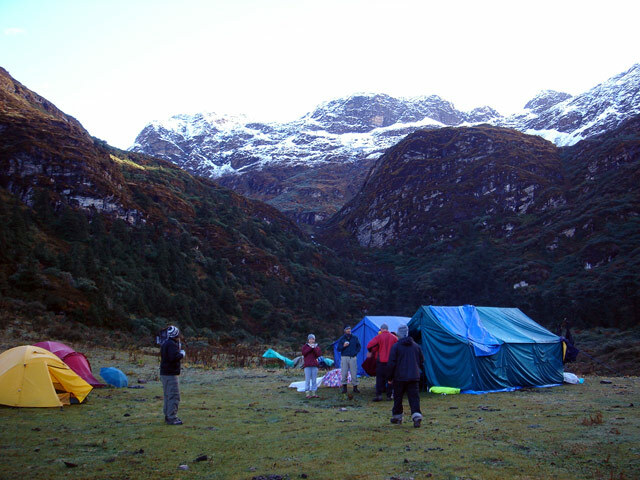 The campsite is near the hermitages and monasteries at 3750m. 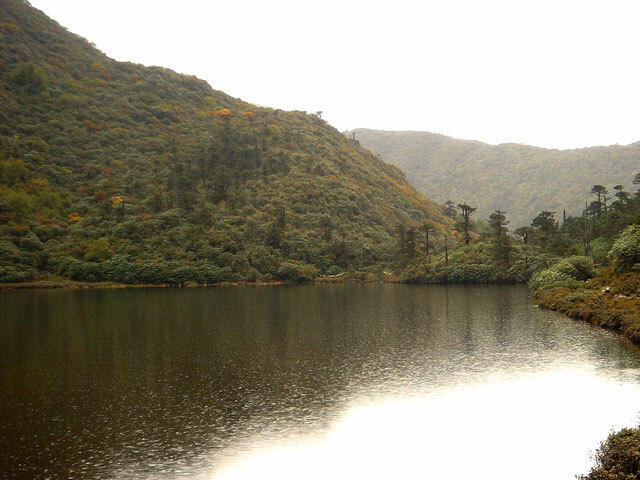 Total about 7-8hrs trek, about 21km. 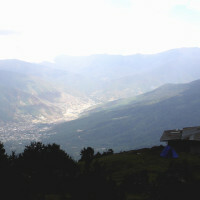 First day after the trek, (after descending from Phajoding) stay at least one night in Thimphu and depart the next day. 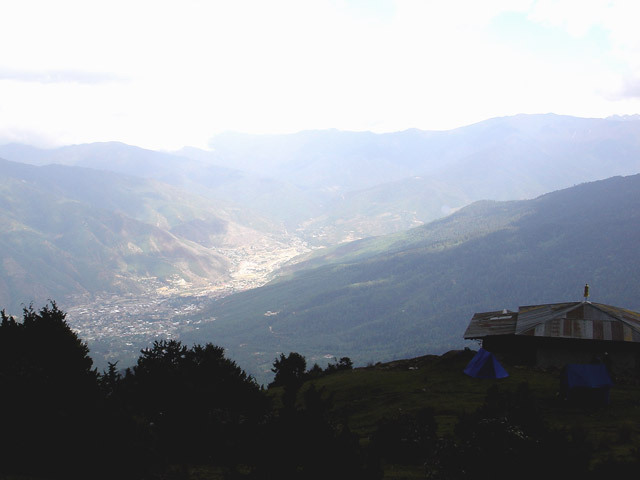 Day 1: Arrive in Paro and transfer to Thimphu. Tour as per available time.